With Thanksgiving in just a few days and December right around the corner, this sequin jacket is the perfect holiday outerwear. I'm usually opposed to ordering sequin clothing online without trying it on, just because sequins can be tricky, but I fell in love with this jacket the minute it arrived. It's light enough to wear and even has slits on the side. 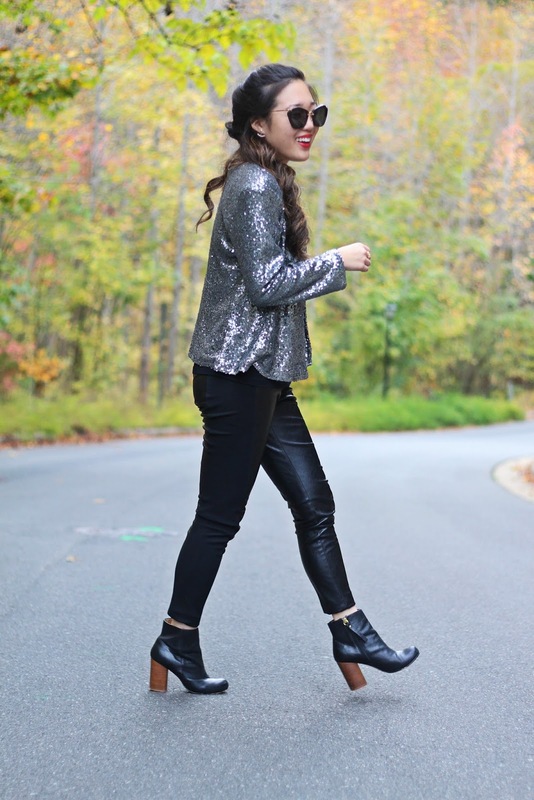 I'm even considering wearing this leather + sequins combo for a possible New Year's event. I would definitely recommend going with a bold red lip! 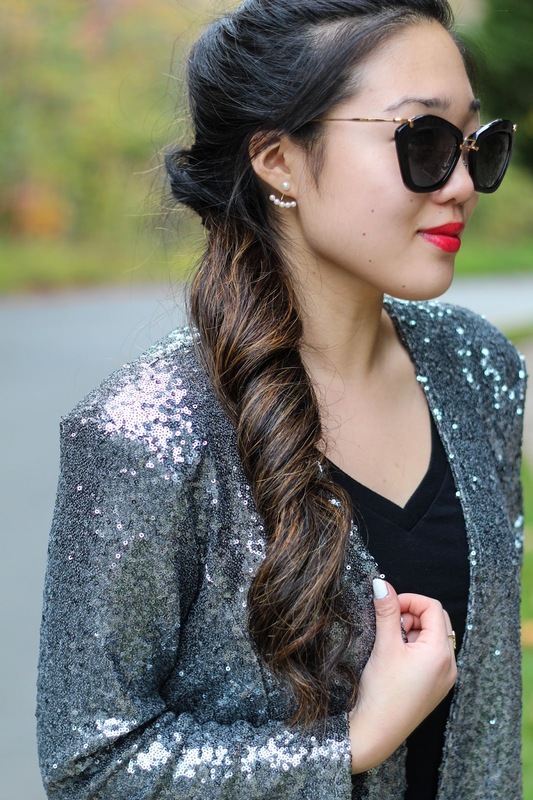 Are you a fan of the sequin jacket? ?